MonMon Memo is back yet again, and for the 13th update, they're going over something special for the 20th Anniversary Pendulums. And it involves the Legend Arms! Both Legend Arms introduced during the 20th Anniversary will show up in the 2nd wave of 20th Pendulums. Rudomon, introduced in the original 20th Pendulums, and Zubamon, from the 20th Anniversary V-Pet. Zubamon becomes a sword, Rudomon becomes a shield. The strongest sword and the strongest shield. 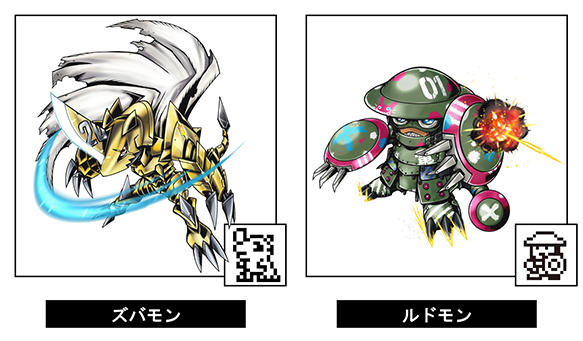 Zubamon is included in the Beelzebumon color 20th Pendulum, plus all the 20th V-Pets of course. Rudomon is in all the 20th Pendulums. They also point out how the Pendulum has jogress, and a number of people have already noticed that when these Digimon evolve to their Ultimate forms, they can jogress together. 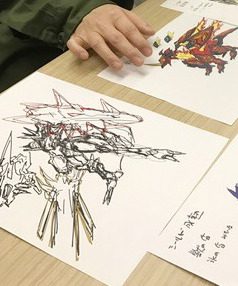 People noticed this drawing in MonMon Memo 10, and it is indeed a drawing of the jogress of Bryweludramon and Durandamon. It's RagnaLordmon, the Digimon with the strongest sword and strongest shield. 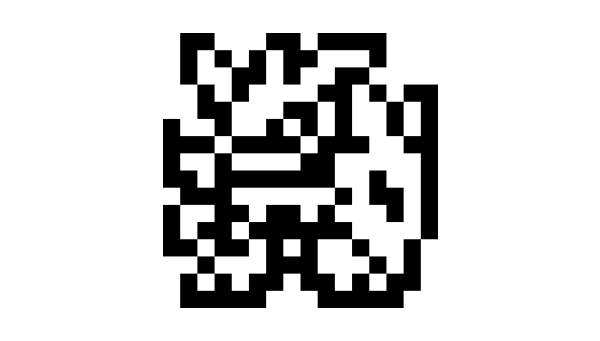 A look at his sprite. They note there are still many mysteries regarding RagnaLordmon, but an official illustration of him will be shown soon. They ask us to look forward to it. Next week MonMon Memo will be back with information about the Digital Monster Art Book Ver. Pendulum. Everything about this RagnaLordmon screams out "Armageddon Knight" with OP weapons. A fusion? That seems like a great idea. Since they've done it before but still. Can't wait to see what it actually looks like. Cant wait to see that new mon in the new artbook? Having this kind of fusion already actually makes me kind of worried about the future of the Legend Arms group in general. They got the Digimon with the greatest sword and the greatest shield so in terms of classical melee weapons there's not much to go from there. I mean what are they going to do next? A potential future fusion of the Digimon with the strongest knife and the strongest shin guard or whatever would look just pathetic next to this one and unless the next Legend Arms go into completely different directions warfare like the strongest nuke and strongest anti-air defense or the strongest nerve gas and the strongest flesh eating bacteria there's not going to be much competition for this. To be clear, its mostly the involvement of the strongest shield that is really putting me off here because its just such an ubiquitous concept and basically the most basic and universal defense tool in general. On the other hand Durandamon is not necessarily the be all end all of offense, simply because swords are not universally the best close combat melee weapons, plenty of alternatives, spears, war hammers and whatnot would in the right circumstances beat out a sword, its quality be damned and a Digimon with those attributes could potentially make short work of Durandamon alone but in combination with the ultimate shield that just seems kind of pointless. So basically at least I feel like concept wise they could have written themselves into a corner in a way that didn't really happen to much with other groups where we might have had plenty of "irresistible force" paradoxes but that were nonetheless balanced in the sense of cancelling each other out. I'm looking forward to seeing the final design though, I'm expecting lots of red and gold goodness. I would love to see the Lunamon and Coronamon lines as special eggs. The Renamon line seems likely as a special egg because it would complete the set of Tamers main character partner Digimon. Sorry if this is off topic. Having this kind of fusion already actually makes me kind of worried about the future of the Legend Arms group in general. They got the Digimon with the greatest sword and the greatest shield so in terms of classical melee weapons there's not much to go from there. Last edited by shaikgb; 07-07-2018 at 10:19 PM.